The Board of Directors of the Elk County Community Foundation (ECCF) is exited to announce a new scholarship fund established by the St. Marys Sons of the American Legion Post 103 to recognize and create awareness among our youth of what the military has done for our country. The scholarship will be open to graduating seniors who are attend either St. Marys Area High School or Elk County Catholic High School. Along with other criteria, students must complete an essay about, who through the military, has had influenced their life. The Sons of the Legion join both the St. Marys Legion Post 103 and the St. Marys American Legion Auxiliary in creating a scholarship through the Elk County Community Foundation. A complete list of the 94 scholarships, available for area students, administered by the Foundation is available on their new website at www.elkcountyfoundation.org. In addition to the $500 award by the Sons of the Legion, the Community Foundation is one of 38 state wide partners with PATH (Partners for Access to Higher Education). Students who receive a scholarship award from the Community Foundation may qualify for matching dollars through PHEAA and the PATH program. In 2018 nearly $70,000 was matched to our local students. 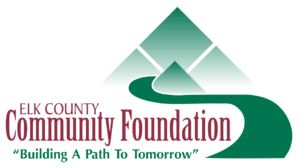 The Elk County Community Foundation is a non-profit organization that strives to strengthen our region through development, stewardship and grant making as it works with donors to achieve their philanthropic goals. For more information contact ECCF at 834-2125 or by email at eccf@windstream.net.